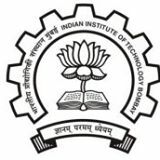 The Indian Institute of Technology Bombay (भारतीय प्रौद्योगिकी संस्थान मुम्बई, abbreviated IITB or IIT Bombay) is a public engineering institution located in Powai, Mumbai, India. It has been ranked among the top engineering colleges in India. Realistic Architectural 3D Modeling via edX 4-6 hours a week , 4 weeks long 4-6 hours a week , 4 weeks long 3rd May, 2019 No reviews yet. Basic 3D Modeling using Blender via edX 4-6 hours a week , 4 weeks long 4-6 hours a week , 4 weeks long Self paced No reviews yet. Basic 3D Animation using Blender via edX 4-6 hours a week , 4 weeks long 4-6 hours a week , 4 weeks long Self paced No reviews yet. 3D Modeling from Architectural Drawings via edX 4-6 hours a week , 4 weeks long 4-6 hours a week , 4 weeks long Self paced No reviews yet. Microwave Integrated Circuits via NPTEL 2-3 hours a week , 8 weeks long 2-3 hours a week , 8 weeks long 18th Jan, 2016 No reviews yet. Fundamentals of Wavelets, Filter Banks and Time Frequency Analysis via NPTEL 8 weeks long 8 weeks long 20th Feb, 2017 No reviews yet. 27th Aug, 2018 No reviews yet.